Well I am always a lady Archie, always a lady. I did not do anything vulgar. I simply removed his right eye with my left claw. And the next floor flusher who mentions marriage to me, I may lose my temper and slice him from gahena to duodenum!! It is hard to imagine anyone more full with life wisdom than Rosalie Sorrels. The pictures of her face, the whine of her voice, and her worldly songs of sorrow and peace and resignation and joy, she seems to have been through all ways and all things. She is also a noted collector and preserver of traditional American folk songs. Now we are listening to her sardonic humor, a riff on Don Marquis’ tales of Archie the literary cockroach and Mehitabel the alley cat. Rosalie Sorrels, “Mehitabel’s Theme,” no publisher (1979). 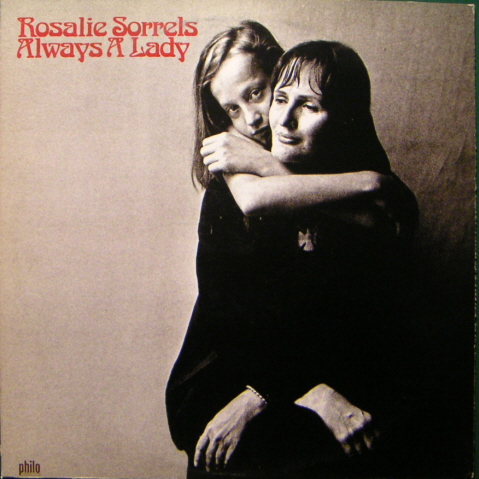 From Rosalie Sorrels, Always a Lady, Philo Records, PH 1029 (1979). Album Design – Margot Zalkind-Schur; Photography – Marion Ettlinger. I had the good fortune to meet Ms. Sorrels. My name is Sorrels. My wife’s name was Rosalie Sorrels. We met her when she was performing at Mayfest in Tulsa Oklahoma. My wife and I were sitting on a bench on Main Street after Ms. Sorrels’ performance and she walked toward us. My Rosalie stood up and introduced herself to Ms. Sorrels who promptly sat and talked with us for nearly half an hour. We found no relatives in common. The lady made our day.